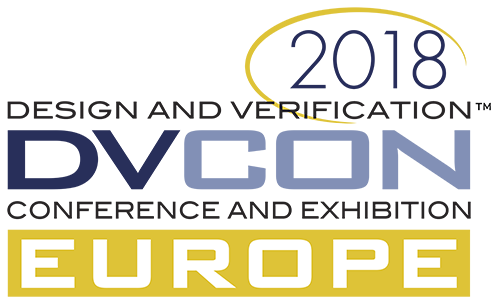 Kevin McDermott– Imperas Software Ltd.
Peter Shields- UltraSoC Technologies Ltd.
DVCon Europe is the leading European event covering the application of languages, tools and intellectual property for the design and verification of electronic systems and integrated circuits. It brings chip architects, design and verification engineers, and IP integrators the latest methodologies, techniques, applications and demonstrations for the practical use of EDA solutions for electronic design. · Where: Holiday Inn, Munich City Centre in Munich, Germany. · When: October 24-25, 2018. · See: https://dvcon-europe.org/ and follow on #dvconeurope. For more information about Imperas, please see www.imperas.com. Follow Imperas on LinkedIn, twitter@ImperasSoftware and YouTube. Codasip delivers leading-edge processor IP and high-level design tools that provide ASIC designers with all the advantages of the RISC-V open-standard ISA, along with the unique ability to automatically optimize the processor IP. As a founding member of the RISC-V Foundation and a long-term supplier of LLVM and GNU-based processor solutions, Codasip is committed to open standards for embedded processors. Formed in 2006 and headquartered in Brno, Czech Republic, Codasip currently has offices in the US and Europe, with representatives in Asia and Israel. Visit www.codasip.com.